The use of DNA identification as a forensic tool, beginning in 1989, changed the way that we think about guilt, innocence, and traditional police investigation. It isn’t just the 311 wrongful convictions that DNA identification has confirmed; it’s the far more numerous cases in which DNA has determined guilt — sometimes in cases years or decades old. Now DNA identification is about to change: it will become even more powerful than it is now. A new way of processing and interpreting DNA has arrived that will make our current DNA techniques look weak by comparison. Most of us know that a DNA sample allows forensic scientists to say things like “the odds that this sample came from anyone other than the defendant are fifty million to one.” Pretty powerful stuff — until you learn that Cybergenetics’ systems will allow prosecutors to offer juries odds of not tens of millions to one, but trillions or even quadrillions to one. In addition, Cybergenetics will allow analysts to pull apart mixtures of DNA from different people, which is common at crime scenes, and which current DNA technology often can’t handle. 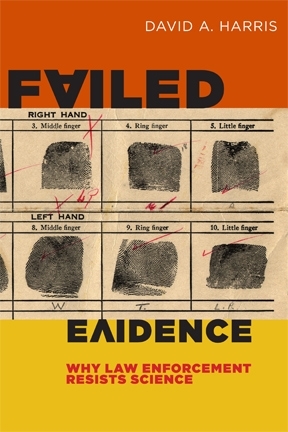 Readers of my book Failed Evidence: Why Law Enforcement Resists Science can get a little more information in Chapter 7, pp. 186-190; you can get the book here. Cybergenetics’ DNA system has found ready acceptance in the United Kingdom, but the process has been slower in the U.S. There has been considerable resistance — something readers of Failed Evidence are quite familiar with — particularly at the FBI, which governs current DNA protocols and use. There is much more to how the Cybergenetics’ TrueAllele system works, and what it can do; I’d urge readers to take a good look at Cybergenetics web site, which gives details on what they do, and the many criminal cases and mass disaster identification cases (including the identification of remains at the World Trade Center site). Once law enforcement sees what this new method of using DNA can do, and once resistance to change is overcome, DNA will be able to identify many more guilty criminals, as well as exonerate many more of the wrongfully convicted, and it will do so with more certainty that we ever thought possible.